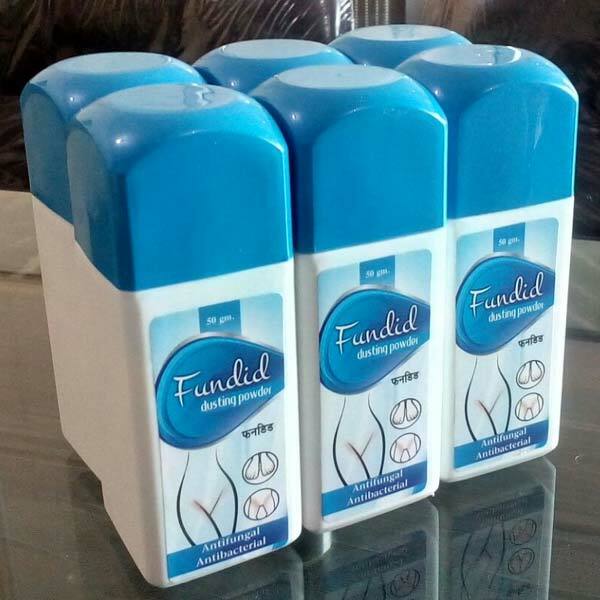 We are counted amongst the renowned Manufacturers and Suppliers of Fundid Dusting Powder in Jammu & Kashmir, India. The Fundid Dusting Powder that we deal in is perfectly and hygienically processed under the guidance of experts so that its purity remains unhampered. We are well-equipped with in-house labs so as to offer quality assured Fundid Dusting Powder to all the buyers. It is obtainable from us at the cost-effective prices.